The League engages in multiple advocacy efforts. The League’s full-time lobbying staff advocate for legislative and regulatory measures, while its 16 regional public affairs managers mobilize city officials and coalition partners to augment and support these efforts. 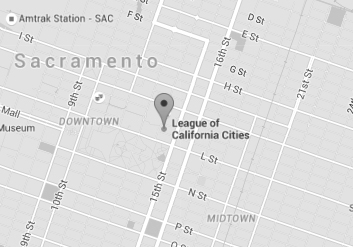 The League also has an active Legal Advocacy Program that represents the interests of California cities in both federal and state court and regularly files friend of the court briefs and letters to bring attention to matters of statewide importance. With close to 400 city officials serving on the League’s seven standing policy committees, the Leagues policy-making process allows California cities to debate issues facing the state and establish policy directions on those issues.